Summer has started, and most TV shows have ended for the season. 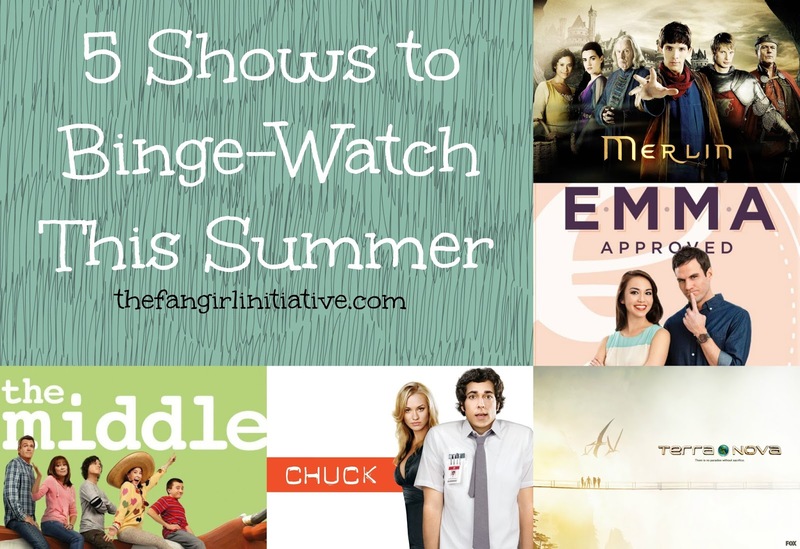 Since I'm sure you've caught up on everything interesting on TV lately and now you're so bored out of your mind from summer already, I've taken the time to list a few of my favorite TV shows. Some of these shows no longer air, and others get lost among the fangirl mountain of TV shows, yet they are all still wonderful and have captured my heart. 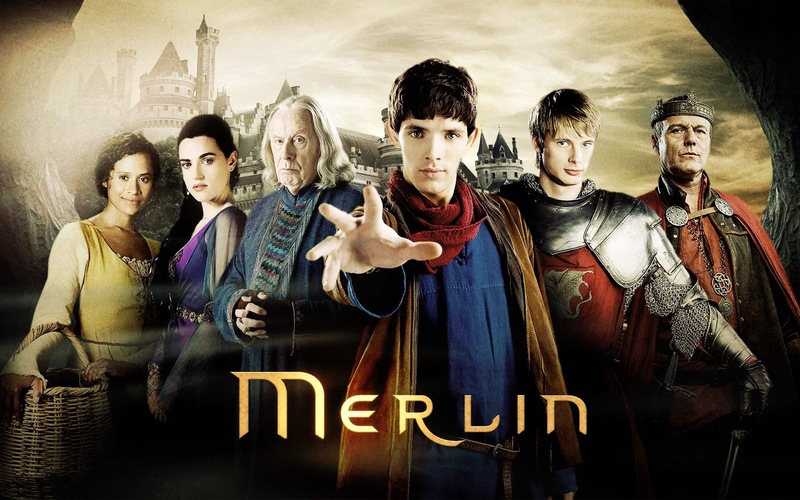 Merlin is a re-telling of the legendary King Arthur and Merlin tale. Merlin ends up in Camelot, where magic is outlawed, and learns he must fulfill his destiny of protecting Arthur, the future king of Camelot and the most arrogant prince ever. This re-telling is different because Merlin and Arthur are depicted as the same age, and Merlin becomes not only Arthur's servant but his friend. If you've watched any BBC show, you know the plot is usually decent, the acting is always stellar, and the show is devastating to any fangirl's heart. Merlin is no exception. It easily became an instant favorite of mine after about one or two episodes. By the end of the five seasons, I was dragged kicking and screaming away from the finale, refusing to believe the show was over. The story lines are well-written, the characters are well-developed, and the show is a good blend of action, fantasy, and humor. Plus, you'll fall in love with both Arthur and Merlin and the rest of the Knights of Round Table. Emma Approved is a modern re-telling of Jane Austen's novel Emma. Following in the footsteps of The Lizzie Bennet Diaries, Emma Approved is a multi-platform web series that re-imagines Emma Woodhouse as a bold and idealistic life coach and matchmaker. If you love Jane Austen, romantic comedies, or The Lizzie Bennet Diaries, you should watch Emma Approved. Basically, it's a fantastic modern re-telling of a beloved classic story. The modern adaptation works well to convey Emma's personality and the lessons she learns. The show is funny, touching, and overall, brilliantly scripted and acted. The characters are memorable and bring to life the well-known names into a modern setting--especially Alex Knightley (*swoons*). While there are only 72 episodes, the writers were able to adapt the entire novel. Also, the whole show is available to watch for free on YouTube. Oh, and it won an Emmy Award! 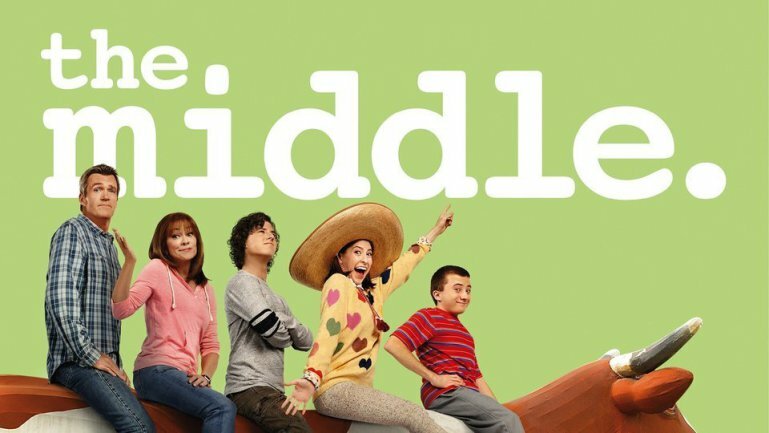 The Middle follows the daily life of a semi-dysfunctional, Midwestern family of five: the Hecks . Narrated by Frankie Heck, the mother of the family, the show features the mishaps and misadventures and attempts at survival of the parents and their three children. Basically, The Middle is my life. A semi-dysfunctional, Midwestern family of five? Check. An annoying older brother? Check. A dad who is extremely tall? Check. A hundred more similarities? Check. It's kind of unnerving how similar my life is to the Hecks. I don't live in Indiana, and my mom isn't entirely crazy (just kidding, Mom! ), but the ups and downs of the Heck family are so perfectly written, it's almost believable and definitely relateable. This show is hilarious, and after six seasons of amazing episodes and fantastic acting, the show is still airing. I'm not always the biggest fan of sitcoms, but I would throw this in as a top favorite sitcom alongside The Office and Parks and Recreation. In 2149, air pollution and a declining population threaten the survival of human life on Earth. A solution comes in the form of a time rift, which sends pilgrims to a parallel time stream during the Cretaceous Period to live and search for solutions to Earth's problems in the future. The show follows the Shannon family as they travel to the past and have to deal with dinosaurs, dignitaries, and danger! One word: dinosaurs. Okay, beyond the obvious that these people are sent back in time to live with dinosaurs, the concept of Terra Nova is actually pretty brilliant. It's so brilliant, in fact, that Steven Spielberg himself was an executive producer. However, Fox canceled it after one season due to budget. (I guess CGI dinosaurs and fantastic futuristic concepts cost a lot of money.) 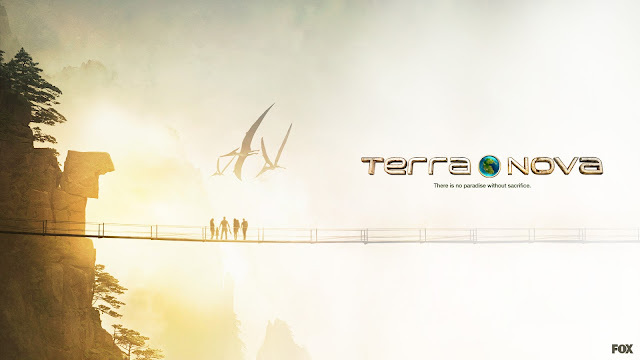 Thus, this show is not only excellent in script, acting, and setting choices (both Terra Nova and the futuristic world are well-developed), but it's short. There's only thirteen episodes. (Hmm, that sounds familiar: Fox canceling an excellent show after only thirteen episodes...) In addition, the plot is intriguing, the characters are interesting, and did I mention there are dinosaurs? Plus, the focus of the show is not only on science and saving the world but on the values of family. Chuck Bartowski leads a pretty average, albeit geeky, life until he accidentally downloads all of the government's secrets into his brain. Thus, he becomes an asset to both the CIA and NSA, is assigned handlers, and finds himself on crazy spy missions to save his life, Burbank, and the world. There are hundreds of TV shows to binge-watch over the course of the summer. Netflix has plenty of options, and libraries are an abundance of resources to get TV shows. But if you're looking to narrow down your pick, these suggestions should get you started and provide you with a lot of entertainment, some laughs, and maybe a little heartbreak. But hey, these are the things that make up a great TV show. What TV shows do you plan to binge-watch this summer? Fantastic - I could use some new shows to binge watch this summer! I love Terra Nova! My mom and I binge-watched it in two days when we found it on Netflix a couple years ago. It's an interesting concept and was so much fun to watch, so a second season would have been so cool. I didn't know Emma Approved won an Emmy. That's so cool! It totally deserved it. Also, Martin and Harriet were way too adorable! Martin and Harriet were too cute for words. :)))) I think Emma Approved is one of my favorite adaptations of Emma.